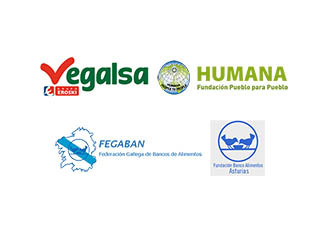 Humana is working with several companies and their CSR programs actions linked to social assistance, as carried out Vegalsa / Eroski, which has included the donation of € 17,500 to Food Banks of Galicia and Asturias. The valuation of donated clothing worn by citizens allows Humana to obtain the necessary funds to ensure the sustainability of the organization and its social purposes, materialized in projects of development cooperation in the South, and environmental protection environment and welfare in Spain. This process transforms the textile in funds that in turn are reversed, in part, on initiatives related to CSR programs of partner companies. Through these resources the Foundation carries out specific actions by the hand of them as an extension of their social responsibility actions. That is, Humana and these companies are based on a model and common concerns and within the scope of the local spaces of similar performance. Vegalsa-Eroski in this sense represents an excellent example of a company with which we perform actions of a social nature. 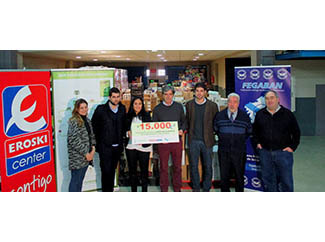 Thus, in February Humana and Vegalsa-Eroski they took delivery of 15,000 euros aid to the Galician Federation of Food Banks (Fegaban) to buy staples. Management and recovery of 350 tons of used clothing and shoes collected by the Foundation during 2014 in the containers located in the Eroski / Center establishments in Galicia, allowed to obtain the necessary resources for this contribution. Similarly, Humana and Vegalsa-Eroski donated 2,500 euros to the Food Bank of Asturias, which has decided to invest the funds in 1,000 units of soluble coffee will be available to the 26,000 people who lend their support. Thus, we contribute to improving the socio-economic situation and quality of life of disadvantaged groups. Hand in hand with partner companies of the Foundation, completed the work of environmental protection developed initiatives with a clear impact on our society.